Named after the Duwamish leader, Chief Seattle, the Emerald City sits on the western coast of the Pacific Northwest. Serving as a gateway for the Asian trade, the city boasts a scenic beauty and eclectic atmosphere that make it an exciting destination, whether you want to climb mountains or relax with a cup of coffee. The Seattle-Tacoma International Airport, also known as the Sea-Tac Airport, serves millions of passengers each year. Many of those visitors find highly discounted airline tickets. The company’s unique policy of working directly with airlines and airline brokerages ensures the cheapest fares. One of Seattle’s most important cultural contributions is its musical history. 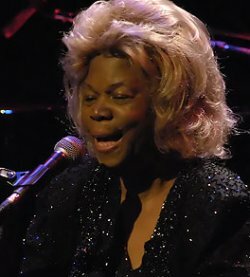 Legendary jazz artists like Ernestine Anderson, Ray Charles and Quincy Jones often performed in one of Seattle’s many nightclubs. Famous hip-hop and grunge artists from Seattle include Nirvana, Alice in Chains, Pearl Jam, Blue Scholars and Macklemore. Pioneer Square is home to several rock and roll clubs. And the city’s Capitol Hill, Belltown and Ballard areas host over 80 musical hotspots. Seattle caters to fans of all types of music. If modern rock doesn’t fill your iPod and you prefer a bit of brass, head to Dimitriou’s Jazz Alley. You can also dress up a bit and head to Seattle Symphony for some classical music or the Seattle Opera for one of its dazzling performances. ● The Museum of Flight takes visitors through the history of aviation up to modern space travel. ● The EMP Museum gives tourists a chance to learn to play an instrument and explore musical and cultural history. 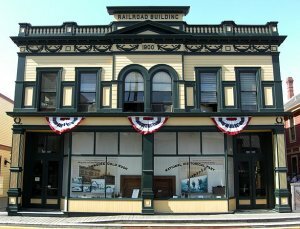 ● You can experience gold rush days at the Klondike Gold Rush Seattle Unit Museum, a particular favorite for families. ● The Seattle Art Museum houses special exhibits and a superb permanent collection. ● The Henry Art Gallery features work by new artists and is the oldest public art museum in Washington. ● The Frye Art Museum displays classic paintings and contemporary art forms in an appealing atmosphere. ● The Burke Museum of Natural History and Culture uses interactive, kid-friendly exhibits to teach natural and cultural history. ● Kids can stand in a dinosaur footprint or spin a giant granite ball at the Pacific Science Center. ● The Seattle Children’s Museum entertains with innovative, educational hands-on exhibits. Coffee aficionados learn all about Starbucks and the coffee bean on the Seattle by Foot Coffee Crawl. Taking approximately two-hours to complete, participants stop at the original Starbucks location and sample different coffees around the city. Chocolate is another Seattle favorite. The Savor Seattle Four’s Chocolate Indulgence Tour is a chocolate lover’s delight with decorated chocolate confections and indulgent samples. ● Kayaking is the ideal way to experience some of Seattle’s spectacular waterfront sights. Head out on your own or take a guided tour. ● Yachting and sailing outfitters are available for those who want an intense water adventure. ● Bicycling is a popular activity: The Cheshiahud Lake Union Loop takes cyclists through six miles of history, including interpretive exhibits that mark Seattle’s industrial, Native American, natural and maritime past. 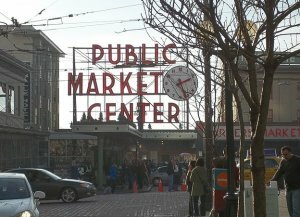 Don’t end your visit to Seattle without a stop at Pike Place Market, an iconic Seattle attraction. Filled with fresh fruit, vegetables and flowers, the market also delights shoppers with locally made clothing, gifts and jewelry. Still have some time left? 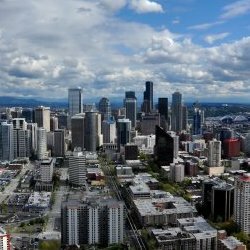 Head to Seattle Center, featuring four museums, six fountains, theaters, plenty of entertainment and the famous Space Needle.